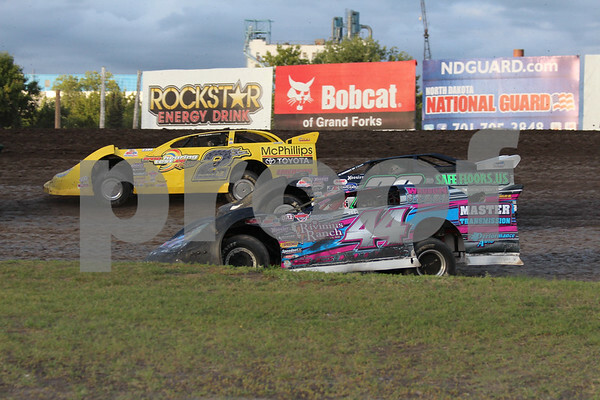 Jeff Provinzino of Hibbing, MN finished tied for 96th in the NLRA series standing last season. Provinzino's lone NLRA appearance ended early with a roll over during his heat race at the 'Prelude to the Johnny' at River Cities last September. Bill Mooney (2), Jeff Provinzino (28), and Cole Schill (44) in action at River Cities on August 9. ​Photo courtesy of Rick Rea.